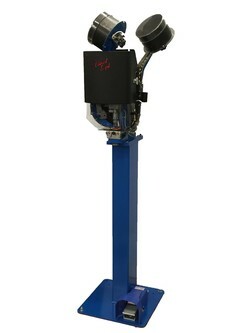 Edward Segal Inc. is pleased to introduce our Model 3PGW. 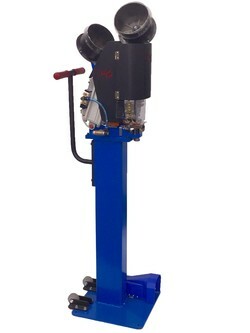 The 3PGW is the most compact, fully automatic machine in our product line. This machine is based on the proven 3P platform that has been manufactured since 2005. The 3PGW relies on pneumatics and a powerful lever mechanism to produce sufficient force to set grommets in a wide variety of fabrics, including certain webbing materials. To offer maximum flexibility, it is available with several configurations including an optional Mobile Pedestal for portability. · Bench: 31" x 22" x 36"
· On Stand: 31" x 22" 67"
· Bench: 80 / 100 lbs. · On Stand: 180 / 250 lbs.